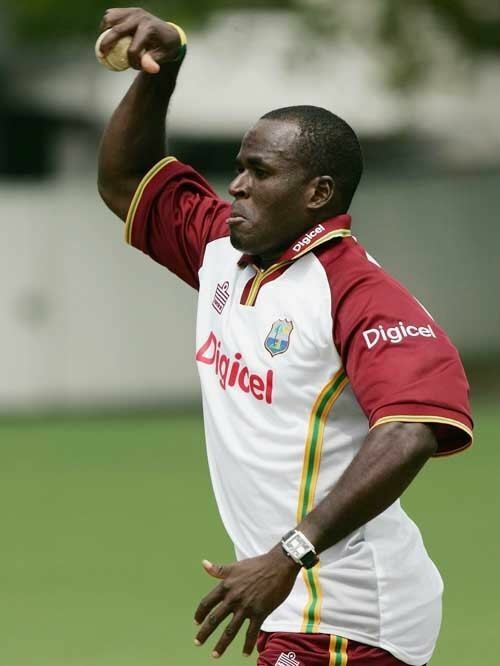 Rawl Nicholas Lewis (born September 5, 1974) is a West Indian cricketer. Statistically, he is one of the most ineffective Test bowlers of recent times. Lewis is a right-handed batsman and bowls a legbreak googly. Having bowled during three Tests, in which he bowled 97.3 overs, he conceded 388 runs and captured just a single wicket, giving him a Test bowling average of 388.00, the worst bowling average in Test cricket. He captained the Windward Islands and played for Barrow Cricket Club in England, before being recalled to the West Indies squad for the tour of New Zealand in 2006. Lewis was recalled to the West Indies team in 2008 for the 2nd Test match against South Africa. He picked up 3 wickets in the match, thus greatly improving his average although it was not enough to force a win, his side losing by seven wickets in Cape Town.